The Junior Squads tennis programme runs at Windsor Tennis Club Belfast to cater for all age groups and abilities, from 4 years old to 18 years. Our aim is learning & improving whilst still having fun! 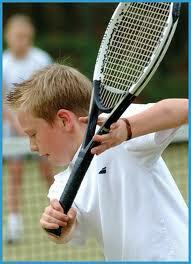 All tennis squads and coaching are run according to the Tennis Ireland Development programme. Windsor were the first tennis club to have been awarded the Silver ClubMark award. In line with the Tennis Ireland programme we offer specialised coaching for those children under 10 with different sized balls and courts, to ensure they learn the basics of the game in a way which will give them the best foundation for their progression to full court tennis. At that transition stage, they are then better equipped and more confident in moving to the next learning phase, when they are physically able to adjust to larger racquets and full size tennis balls. This is an extremely important part of developing children in tennis and we are wholly committed to this programme. 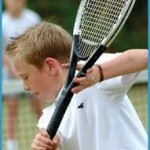 Windsor runs a full programme of Junior Squads through the year with expert coaching for children of all ages. You can apply for the junior squads by filling in the following application form and leaving it into reception at the club. Right click the image or the link and select ‘save as’. It will open as a downloadable pdf file. The next step up from Mini Squads, players use a slightly ball on a larger court an continue their development of tennis strokes with introduction to scoring and team games, as well as keeping a fun and friendly group environment. Technical and tactical coaching for Under-18’s who are interested in the game and would like to enhance their skills but are not yet ready to play tournaments. Groups are of similar ability and are ideal for beginners or teenagers returning to tennis that want to improve their overall game. This programme is designed for those players that want to compete at tournament level. The Under 16 Programme caters for up to 12 children who are coached 4 hours a week. Windsor has been running a High Performance Squad for 6 players who are doing 8 hours a week on the tennis court as well as physical hours in the gym. Their aim is to make it to European Tournaments and gain ITF ranking points so they are able to improve their World Ranking and ultimately lead to a possible scholarship in the USA or straight into the professional Circuit. Please note there will be a competition on Week 5 and Week 10 exclusive to Squad members. These are week-long daily Tennis summer camps run within the Tennis Ireland guidelines and staffed by our qualified coaches. They will not only improve your child’s tennis but also keep them fit and active as they include fitness regimes on a daily basis. The camps are also very popular with parents who have eight weeks of summer holidays to think about! Details of Junior Summer camps for 2018 can be found here. For an application form simply right click the image above and select ‘Save As’. 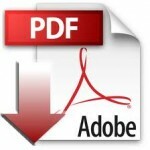 It will open as a downloadable pdf file. Windsor also has a number of Junior league teams who play in the Belfast and District league at Under 14 and Under 18 age groups and for recreational players we organise friendly matches against other tennis clubs. Contact Simon or Michael for more details. Our designated Child Protection Chief Officer is John Adair and our Child Protection Officers are Simon McFarland (Coach) and Maxine Pauley (Receptionist). If you have any enquiries about the Junior programme, please feel free to complete the form below.